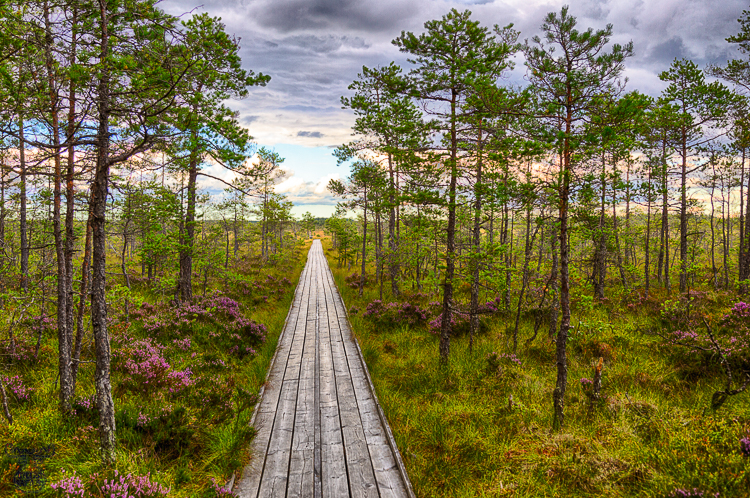 As one could walk into infinity ... the boardwalks in Swedish bogs can seems endless when you are more used to dense landscapes as in my home area. Hiking the marshlands such as the 2900 ha large Dumme Mosse is made easy - boardwalks cross the moist areas and you can roam without wet feet. Diversified landscapes including large free bog areas, more or less dense coniferous forests, birch clusters or forest lakes can be easily reached. Tamed nature ... a perfect family excursion in fact, camera not to be missed.